Just as emperumAn showers his grace on AzhwAr as requested (in the previous pAsuram), AzhwAr speaks about how he got ishta prApthi (granting of desirables) and anishta nivruththi (removal of undesirables), in this pAsuram. EnREn adimai – I established myself firmly in carrying out servitude to emperumAn without any break. Even though there was an inclination towards servitude even earlier, it was limited due to connection with prakruthi (samsAram), similar to the inclination of a patient towards medicine. Now the inclination towards servitude has become unbounded. What is the reason for being inclined towards servitude now? izhindhEn – AzhwAr says that ahankAram and mamakAram were like a huge mountain and he climbed down from that mountain. AnREn amararkku amarAmai – I filled myself with knowledge and devotion to such an extent that instead of my going to other dhEvathAs (deities), now the other dhEvathAs would feel shy to approach me. kadanAdum maNNAdum kaivittu mElai ida nAdu kANa ini – giving up svarga (which is the land for enjoying the results of virtuous deeds carried out in earlier birth) and earth, which is the place for carrying out sacred deeds, I filled myself with paramabhakthi (this is the ultimate state among three states of devotion in which the person will not be able to live even for a moment if separated from emperumAn) so that I could see the ancient and spacious paramapadham. kadan nAdu – svargam (heaven) wherein one has to necessarily enjoy the result of puNya (virtuous deeds) just as one has to necessarily repay the loan taken from someone. 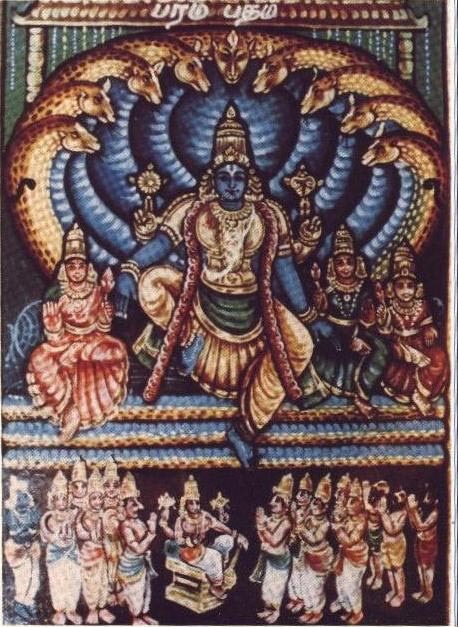 idanAdu – paramapadham as mentioned in SrI rangarAja sthavam 1-38 “sarvAthma sAdhAraNa nAthagOshI pUrE’pi dhushpUra mahAyakASam ” (even if all the groups of emperumAn’s followers, which are common to all AthmAs, get together, there will still be space in paramapadham). We will next move on to the last pAsuram in this prabandham. This entry was posted in iyaRpA, nAnmugan thiruvandhAdhi on September 22, 2018 by T N Krishnan. mey theLindhAr en seyyAr – What will those, who know the truth as it is and who know as to what will complement their qualities, not do? Oh emperumAn! Would protecting those without any fault bring you laurels or would protecting someone like me, with faults, bring you laurels? Once you analyse this, what protective action will you not do for me? Alternative meaning: If you analyse your nature of protecting those who attain you, what will you not do for me? 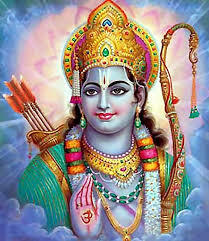 Aren’t you one who desires to protect those with faults, just as you did for rAvaNa, as mentioned in SrI rAmAyaNa yudhdha kANdam 18-3 “yadhivA rAvaNa: svayam” (if it is rAvaNa himself) so that you would get the fame for protecting those with faults? emperumAn further asks AzhwAr “Where did you see that I protect those who surrender to me?” AzhwAr says further that he had seen it in the case of protecting pANdavas . .
theLindhu kaikAtti – instead of feeling agitated thinking “Oh, I have to kill them”, deciding firmly that enemies of those who attain him are fit to be killed and helping the followers by conducting the army (in the warfront) etc. kaLappaduththu – making them lose their lives in the battlefield. pai theLindha pAmbin aNaiyAy – Oh one who reclined on his divine mattress in order to rest awhile after removing the hurdles of his followers! Oh one who reclined on the divine mattress of AdhiSEsha whose hoods became cool and comfortable on contacting with emperumAn! aruLAy adiyERku – just as you protected those “apt five” (the five pANdavas), who are with good qualities and who had something in them, you should also protect me who has no good qualities and who has nothing in him. You will win more laurels in protecting me than in protecting them. 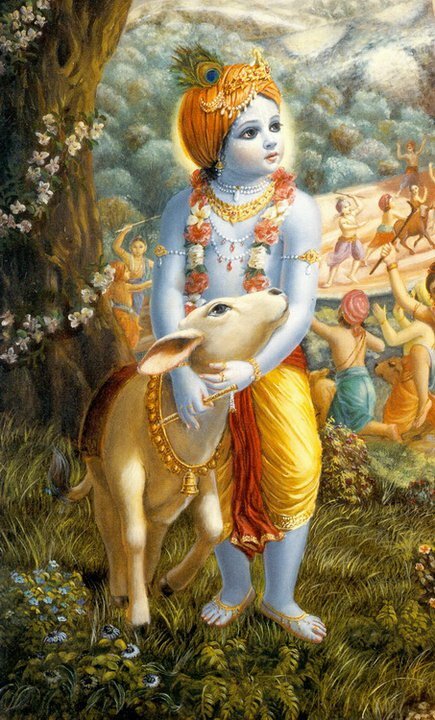 When emperumAn asks “But how can I desire you, who have faults?” . . . .
vEmbum kaRiyAgum EnRu – if one were to analyse its qualities such as being good for health etc, even the bitter leaves of neem tree [which are liked by no one] would be cooked and eaten. We will take up the 95th pAsuram next. This entry was posted in iyaRpA, nAnmugan thiruvandhAdhi on September 21, 2018 by T N Krishnan. paranE – Oh the supreme lord! kAppu maRandhaRiyEn – Oh emperumAn! Did you think that I have forgotten the protection that you have been giving me right from the time that I was inside the womb? Is there any way by which I can forget you when you have been my protector from the day that I was formed? 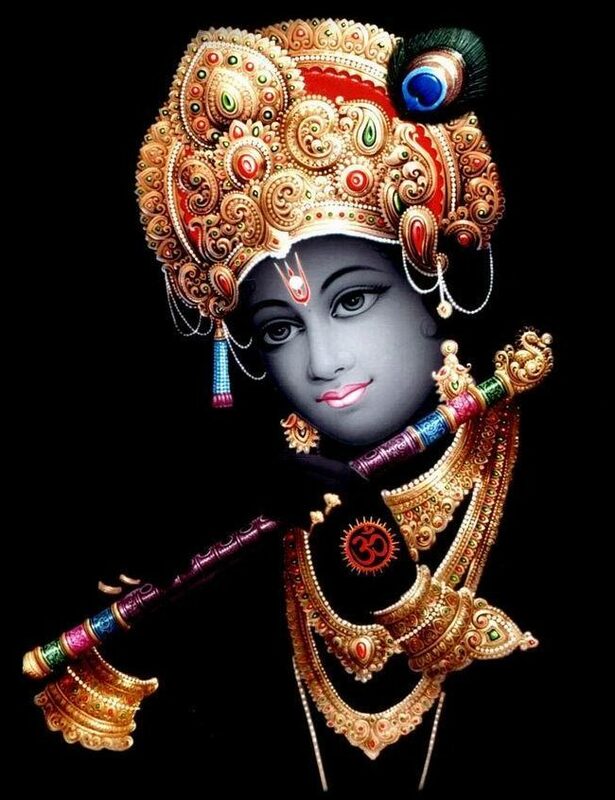 kaNNanE enRiruppan – Is there any possibility for me to go after other means and other goals when you, who incarnated as krishNa, are the means and the goal? AzhwAr asks further whether it is possible to give up emperumAn if one meditates on the benefits that he has given and his auspicious qualities. Appangu ozhiyavum palluyirkkum Akkai koduththu aLiththa kOnE – Oh swAmy (lord)! You gave forms to all the souls and protected them when they were struggling after losing their bodies and senses [during the time of deluge]. Appu – the body and senses are referred to by the term Appu since they are the implements with which the soul is bound to samsAram (materialistic realm). kOnE – This implies that since he is the ‘owner’ he has protected the owned. Appangaozhiyavum . . . .kOnE – Is it possible to go away from you after seeing the way you had been protecting from the initial days? Is it possible to go away from you after seeing your being the lord? 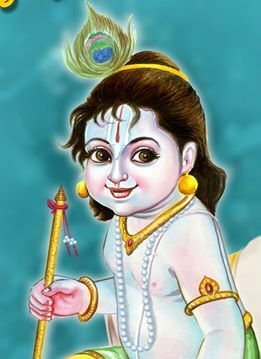 guNapparanE – Just as it is mentioned in thiruvAimozhi 1-1-1 “uyarvaRa uyar nalam udaiyavan” one who is much superior to all due to your auspicious qualities! Is it possible to leave you after seeing your auspicious qualities? unnai vidath thuNiyAr mey theLindhAr thAm – those who know you truly, will never think of leaving you ever. unnai . . . thAm – can we leave you saying that you are not the protector? Can we leave you saying that you are not the benefactor? Can we leave you saying that you have faulty qualities? Can we leave you saying that you are not the ordained lord? How do we leave you? We will move on to the 94th pAsuram next. This entry was posted in iyaRpA, nAnmugan thiruvandhAdhi on September 20, 2018 by T N Krishnan. AzhwAr affirms that he is one of emperumAn’s followers. He says that he has never forgotten emperumAn at any time, since emperumAn has been protecting him from the time that he (AzhwAr) has been in the womb. enRum maRandhaRiyEn en nenjaththE vaiththu ninRum irundhum – keeping sarvESvaran in my heart without any distinction between whether I am standing or sitting, i.e. at all times, and not forgetting him ever. This is similar to nammAzhwAr mercifully saying in thiruvAimozhi 9-6-10 “ennil munnam pAriththuth thAn ennai muRRum paruginAn ” (before I could enjoy him, emperumAn devoured me fully) and in thiruvAimozhi 10-10-10 “adhanil periya en avAvaRach chUzhndhAyE ” (emperumAn made his desire to be with AzhwAr much bigger than the desire of AzhwAr, and joined AzhwAr with his consorts, primordial matter, nithyasUris et al ). 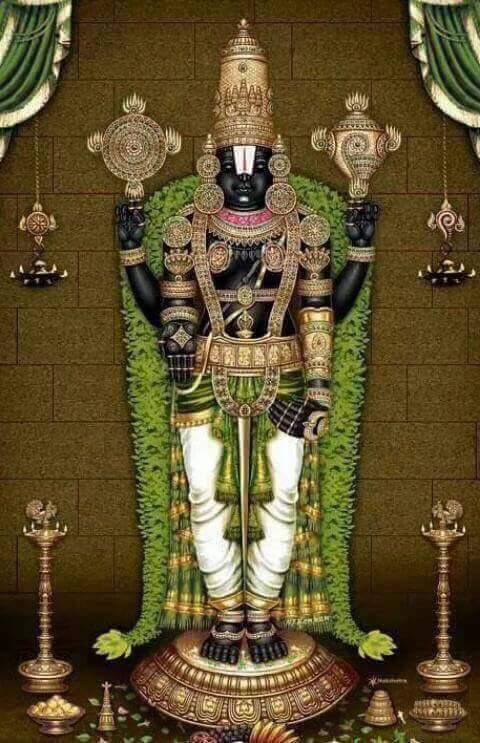 ninRum irundhum – just as it is mentioned in nAradhIyam “AsInA vA SayAnA vA thishtanthO yathra kuthra vA I namO nArAyaNEthi manthraika SaraNA vayam II ” (we have taken thirumanthram as our refuge whether we are sitting anywhere, or standing or lying down, without any disctinction), this implies that even when carrying out normal activities such as standing or sitting, AzhwAr is fully meditating on nArAyaNa. Is it only that AzhwAr did not forget emperumAn ever? He says further that he was engaging himself fully with service to emperumAn …. 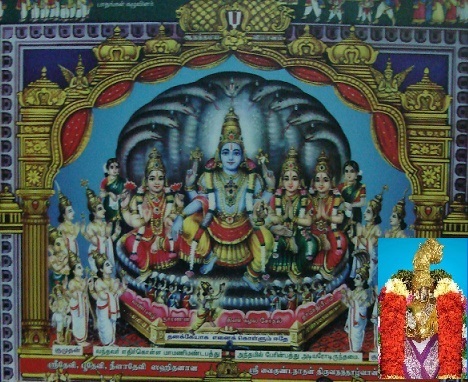 enRum thiruvirundha mArvan sirIdharanukku ALAy – SrIdhEvi (SrI mahAlakshmi) is always residing in the divine chest of emperumAn as mentioned in SrI vishNu sahasranAmam “nithya SrI:” (always with SrI mahAlakshmi) and in thiruvAimozhi 6-10-10 “agalagillEn iRaiyum enRu alarmEl mangai uRai mArbA” (Oh emperumAn who has on your chest SrI mahAlakshmi, who says that she will not separate from you even for a moment!) in order to ensure that followers attain the divine feet of emperumAn the moment they cry out for it. AzhwAr says that he was able to carry out service to SrIdharan, the one who has SrI mahAlakshmi on his divine chest. 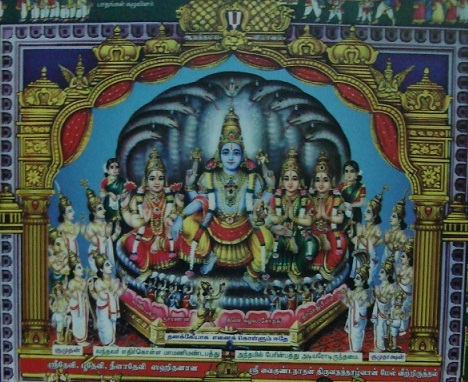 enRum thiruvidundha mArvan sirIdharan – while other entities may be called as SrImAn as a term of respect even though they have no connection with SrI mahAlakshmi (just as a worm, which has no connection with the fruit mango is called as mango-worm), in the case of emperumAn, pirAtti (SrI mahAlakshmi) is always residing in his chest and hence he is aptly called as sirIdharan. sirIdharanukku ALAy – just as thiruppallANdu 11 says “thirumAlE nAnum unakkup pazhavadiyEn” (Oh Sriman nArAyaNa! I have been your servitor for a very long time) AzhwAr implies that the meaning of receptacle of kainkaryam is only the couple [in other words, kainkaryam (service) is carried out only to emperumAn and pirAtti together) and that the reason for his attaining such distinction is only because of pirAtti’s mercy. What is the reason for not forgetting emperumAn and for carrying out service to him? karu irundha nAL mudhalAk kAppu – AzhwAr says that right from the time when he was inside (his mother’s) womb, emperumAn had blessed him, made him as his follower and protected him. 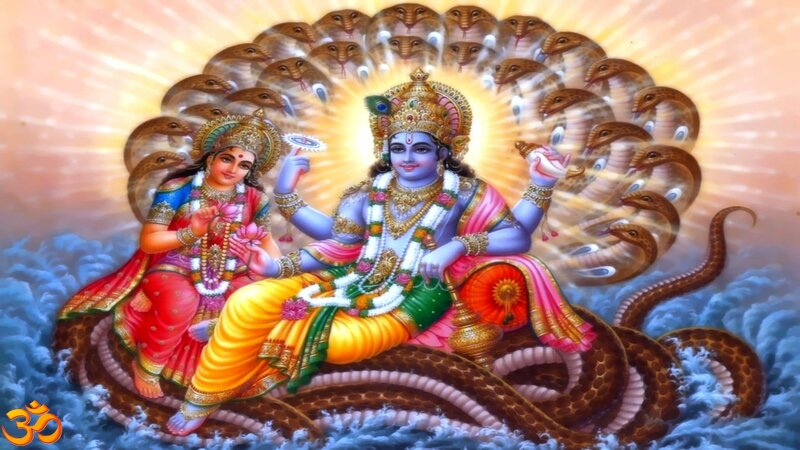 karu irundha nAL mudhalAk kAppu – I received this huge distinction because emperumAn showered his mercy on me from the time I was in the womb, and protected me. Has it not been mentioned in mahAbhAratham mOksha parvam “jAyamAnam hi purusham yam paSyEth madhusUdhana: I sAthvikas sa thu vigyEya: sa vai mOkshArtha chinthaka: II ” (the one who is blessed by emperumAn even as he is born is known to be full of sAthvika (composed of purely good qualities); only he will think about mOksham)! Did not poygai AzhwAr and bhUdhaththAzhwAr too mercifully proclaim that they were blessed even when they were inside the womb, as mentioned in mudhal thiruvandhAdhi 6 “karuvarangatkidandhu kai thozhudhEn kaNdEn” (while lying inside the womb, I saluted emperumAn and saw him) and in iraNdAm thiruvandhAdhi 87 “karukkOttiyutkidandhu kai thozhudhEn kaNdEn” (same as mentioned above)! We will move on to the 93rd pAsuram next. This entry was posted in iyaRpA, nAnmugan thiruvandhAdhi on September 19, 2018 by T N Krishnan. This entry was posted in Audio, thiruvAimozhi, thiruvAimozhi 7th centum on September 19, 2018 by Sarathy Thothathri.